For two weeks I traveled to places south. Part-one of my journey took me down to bourbon country, to country clubs, to derby hats and fried chicken dinners. 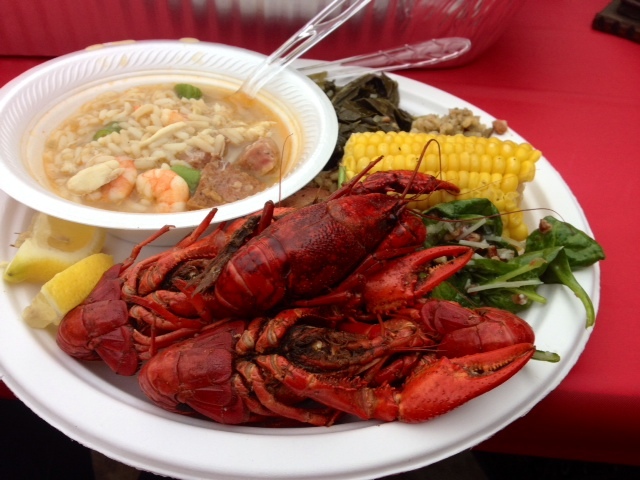 Crawfish boil, my introduction to southern dining. Adventures, yes. Good eats, oh, heaps. But the real reason for my migration was to learn about my roots. While I have never lived in the south, my tall-drink-of-water father did. 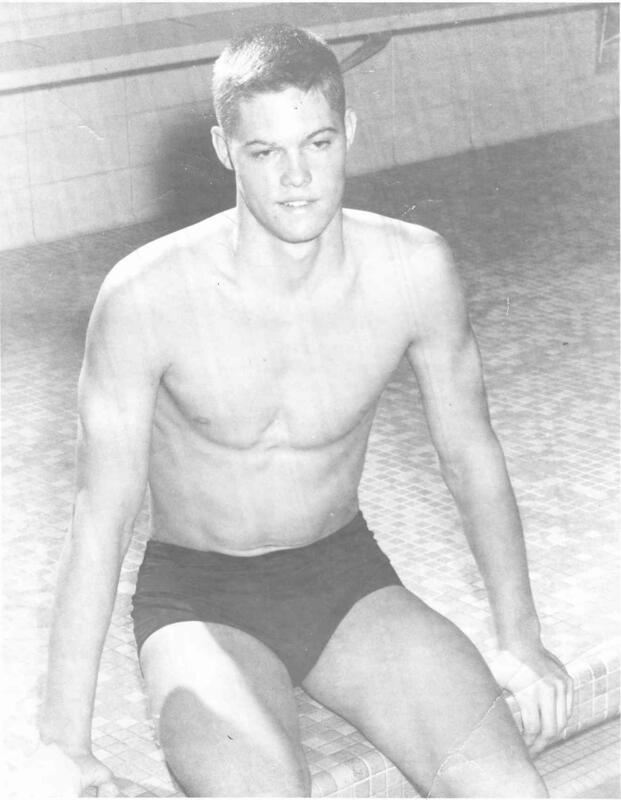 He was born in Ft. Smith, Arkansas, where he grew up climbing trees and spending warm summer evenings on his family’s farm. I grew up hearing bits and pieces of these stories -childhood pranks and catching crawdads and the epic fall-off-the-front-porch first kiss- but Ft. Smith was a place that seemed more out of a storybook than real life. 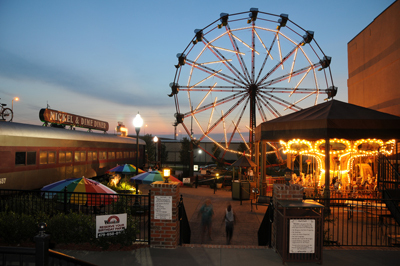 West End in Ft. Smith, AR. Yes, my dad and I traveled to Arkansas a handful of times, but my young brain only remembers things like boat rides on the lake and cheese grits and watching my nana drink her martini -dry with two olives- every night at 5. Traveling to Arkansas wasn’t part of my mindset, and truthfully speaking, it hadn’t been part of my dad’s for many years, either. From what I’ve been told, when my dad left Ft. Smith, bus-bound to Bloomington, Indiana to start his new chapter at IU, he never really came back. From college, he headed to Dallas, then Oregon, where he lived the majority of his years, where he met and married my mom, where he and my mom had and raised me. When I think of my story, my birthplace is an integral part of it. You can take the girl out of Portland, but you can’t take Portland out of the girl. 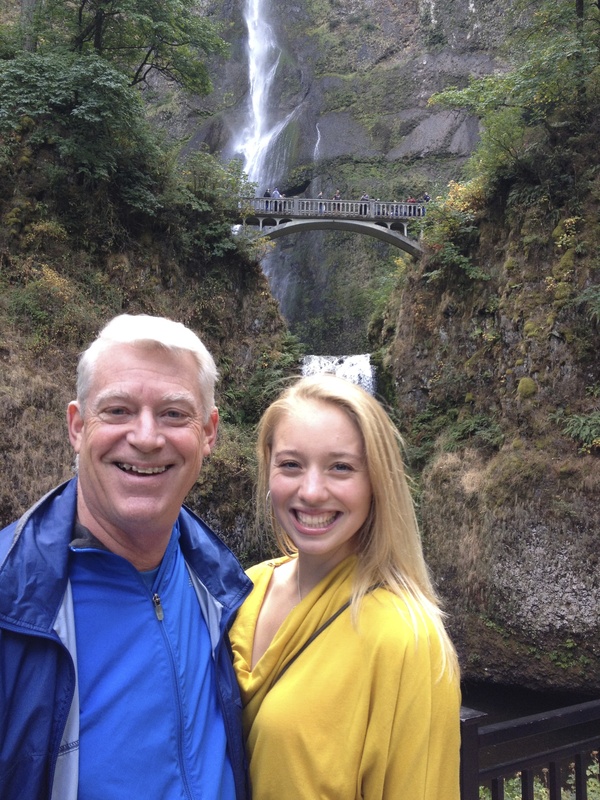 My godfather and I at Multnomah Falls, Ore.
Was the same true for my dad? Maybe it’s a case of the twenty-somethings, but I have a strong desire to know who I am at the core, and part of who I am is my parents. I wish I could turn to them and ask them all my questions -and for those who know me, you know I always have a million- but I can’t. I can’t ask my parents’ parents, either. It makes finding the answers to these questions challenging, but not impossible. Searching for the answers, easy or not, is another part of my story. When you start asking questions, any questions, it becomes part of your story, too. If I want to find the answers, it means I have to get up and do it, to go and visit the places where my parents came from, the places where they walked and danced, the places where they celebrated Joys and where they carried their sorrows. I want to talk to those who knew them when they were 2 and 22 and 42. I want to see them the way their friends and siblings and teachers saw them. This chapter of my story seems to be a deeper walk into the mission field of my own life. And to be completely honest, part of me is nervous about this journey. What if I learn something that I didn’t expect, something hard and uncomfortable and totally opposite of how I knew them as their daughter? What if there are more closed doors than open? What if my questions go unanswered? What if my image of them is challenged? Well, I’m pretty sure the what-ifs will come, and when they do, I will pray and there will probably be some tears and headaches and laughter, too. As I go, I pray my heart will be open to the stories, to the people, to the places. One day, maybe my own children will want to venture down the roads I traveled, not to repeat my story, but to catch a glimpse of what caused their mom to live the way she did. Mom, Dad, I want to know you. I want to know me. I want to know the God-given stories that were started decades ago, and still continue today, even though you all are no longer on earth. So this is part of why I headed south this month, and why I will head west and east and north, at some point, too. In every direction, on bumpy roads and smooth paths, I delight in knowing that I will witness the ordained days of yore and the days that are finally coming to fruition in my own story. Thank you, God. Thank you for my present, my past and their past. Thank you and help and wow, Father. There’s a lot to like about your writing, Taylor. Your honesty and vulnerability shine through in every post. I admire you for embarking on this multistate, multiregion adventure to get to know your parents and yourself better. You will be a richer, stronger person for it. George, your words of encouragement mean so much to me. Thank you for your excitement in my adventure to know my family, and ultimately, to know more about who I am. 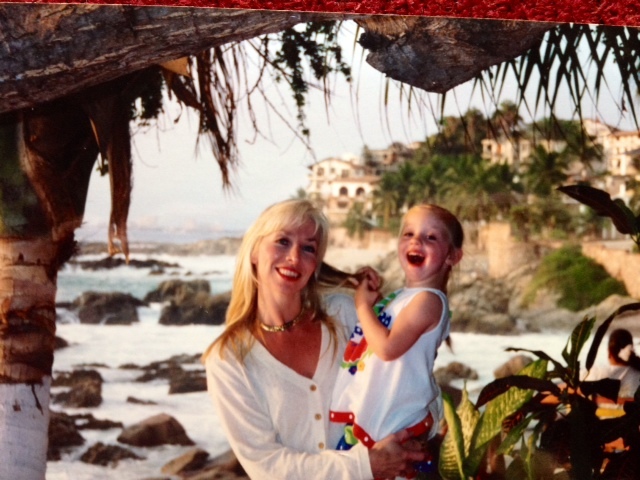 Taylor – it is so much fun watching you grow, explore and get to the bottom of things…the roots! Though you may not be able to ask your parents all those questions that rattle around in your head, some times the unknown can be more of an adventure in discovery than being able to go to the source. What you discover about who you are was perfectly designed before your parents even knew you were coming. I love reading these posts…keep’em commin! Tamara – what a beautiful reminder of His eternal plans, the weaving a of the tapestry that began long ago, the stitches that we see that provide us a glimpse of His great story for each of us. I love knowing that each step of this journey was created by Him!